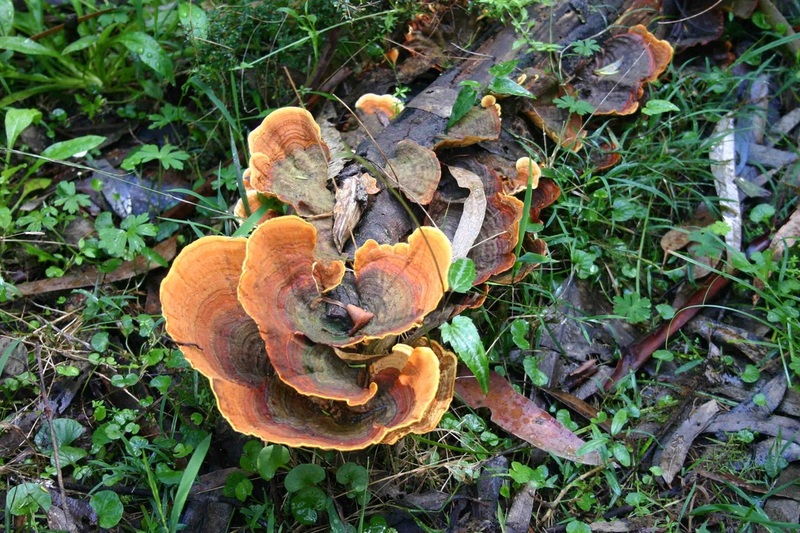 Orange Bracket Fungus, Pycnoporus coccineus with Turkey Tail or Rainbow Fungus, Trametes versicolor. 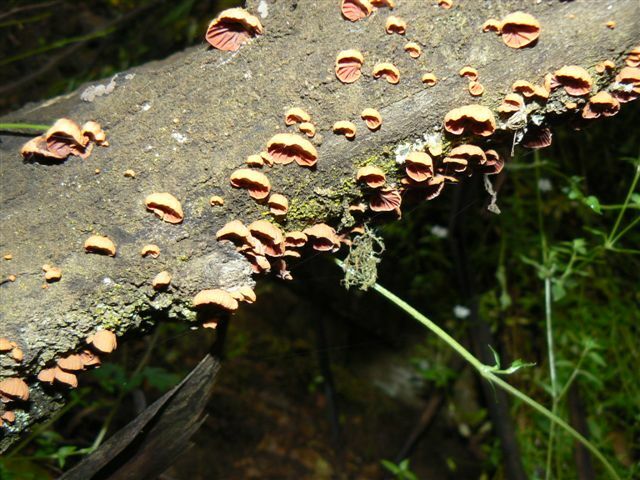 Orange Fan Brackets, Anthracophyllum archeri. 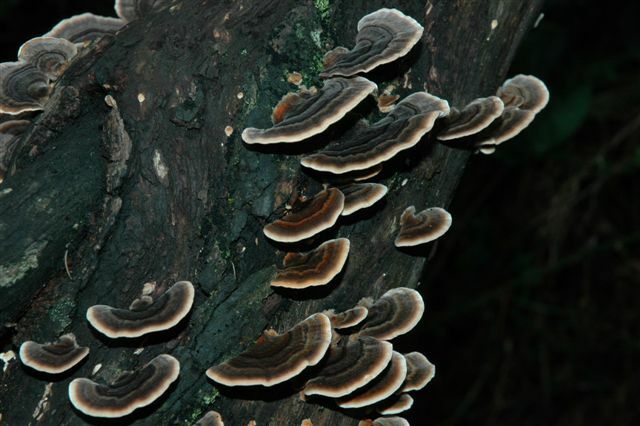 Rainbow Fungus, Trametes versicolor. Photo Alison Kuiter. 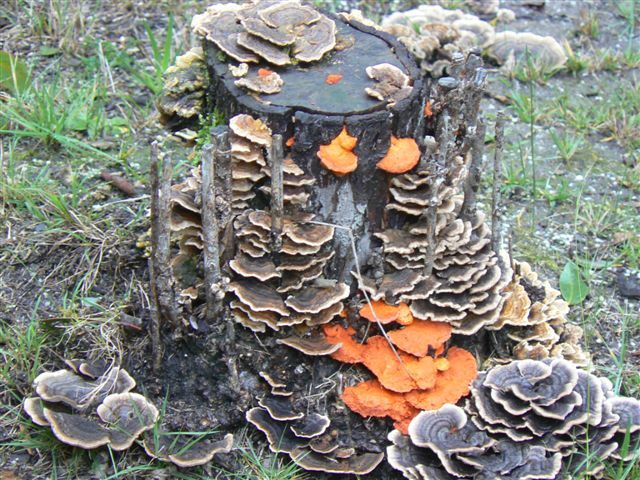 Rainbow Fungus. 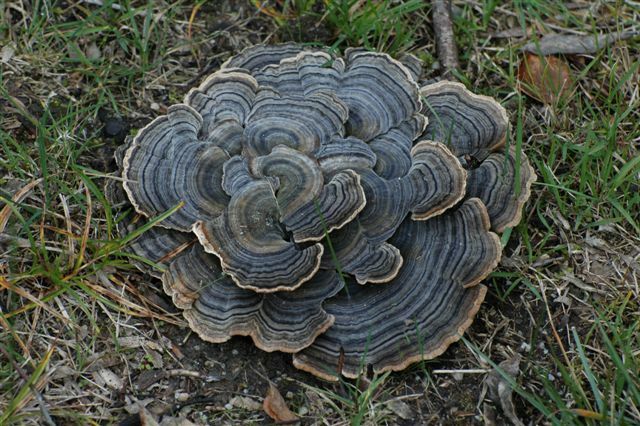 Trametes versicolor sp. dark form. Photo Alison Kuiter. 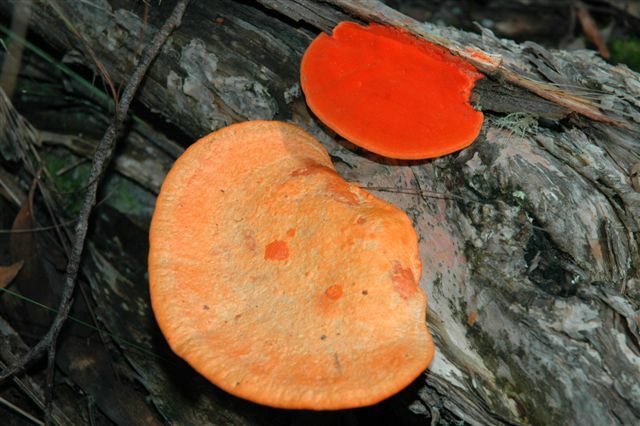 Scarlet Bracket Fungus, Pycnoporus coccineus. Photo Alison Kuiter.